There are many types of of non profit fundraising event ideas. Some require extensive planning and commitment while others are quite simple and can be pulled together with ease. Fashion shows: These may require some planning but they are well worth the time investment. Be sure to ask local merchants for clothing to be used in the show and use local personalities as the models. Secure a venue where you can serve food in addition to having people watch the show. Benefit dinners: Combine these events with an auction to raise the most money and streamline your planning time. Secure donations of auction items to maximize your profit. A dinner can be held at local clubs or banquet facilities. Entertainment such as a band can be a great addition as well and will encourage more people to invest in the price of a ticket. Ladies' luncheons: Lunch fundraisers are often successful because who doesn't love a good get-together with friends? Not only will it be a social affair but will also raise money for your cause. 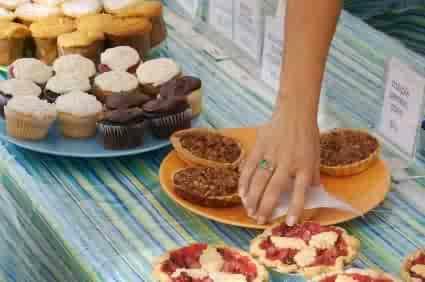 Food sales: A bake sale can be a simple fundraiser. Ask local bakeries for donations or get volunteers to bake some of their specialties. 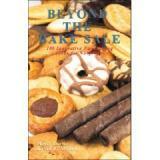 There are also businesses who specialize in specific bake sale fundraisers such as pies or cakes. Wine tasting parties: Wine tastings can be elegant events that don't need much planning. Secure a location and get a local winery to donate a selection of its most popular bottles. Concerts: Benefit concerts featuring local bands or musicians playing can be a fun way to raise money. Bachelor / bachelorette auction: This fundraiser serves two purposes and it typically popular and well-attended. It is a great way for singles to meet and for your organization to raise money. Ask local celebrities and single people in your organization to participate. Tournaments: Golf tournaments can be an excellent money-maker. Be sure to plan ahead and have enough volunteers on hand. For a twist on the traditional golf tournament, hold a mini-golf event that the whole family can enjoy. Sponsored walks: Charity walks are great community events. Participants can get sponsors as a way to raise money. Sponsors can also be secured for other aspects of the event such as having banners with each sponsor's name displayed prominently at the event. Ask local merchants to donate lunch for those participating as a special thank you as well. Casino games: Casino night events are fun for everyone and another type of fundraising that is typically a favorite with most. This type of event can draw a big crowd of people and raise lots of money for your organization. A fundraising event is a great way to raise money for your non profit organization. The event increases awareness for your cause and serves as a means to get your entire community involved with your organization. Be sure to allow enough time to plan adequately for your event so that you can have all your details in place and your event will run smoothly.